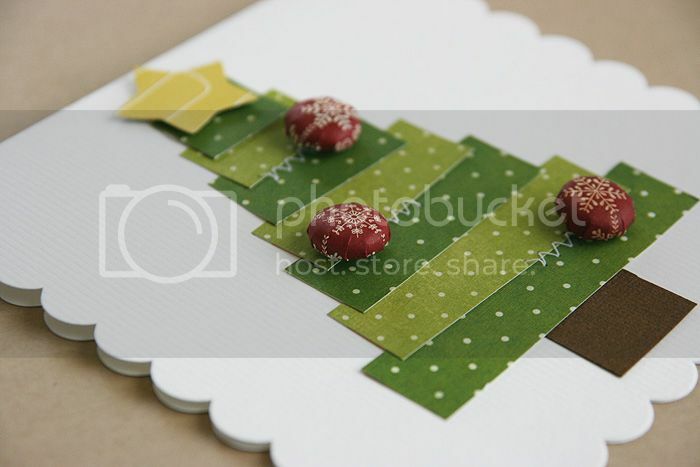 Cut strips from two different patterned papers, cut to various sizes and layer into tree shape. 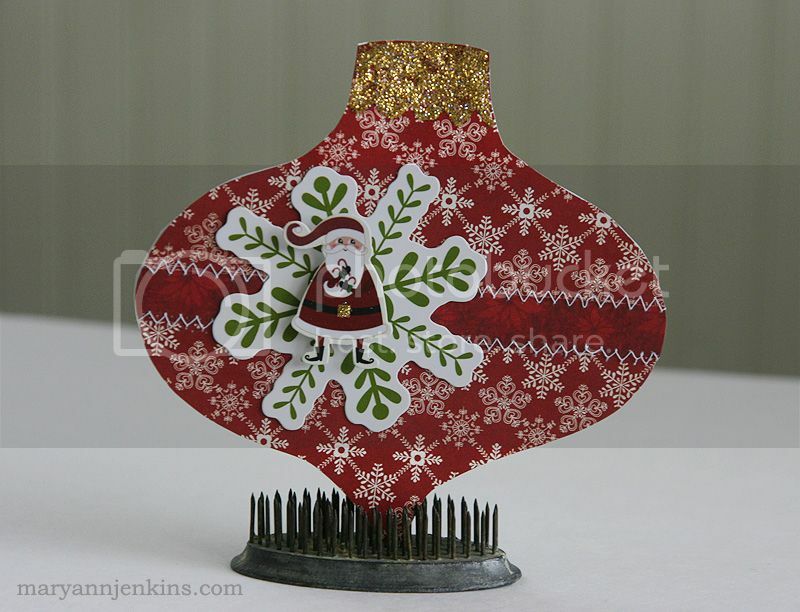 Add tree trunk, star for tree topper and small brad daddies covered with coordinating paper to look like ornaments. Cut ornament shape using die cutting machine, or draw by hand and cut. Add a small strip of coordinating paper to center of card and machine stitch if desired. 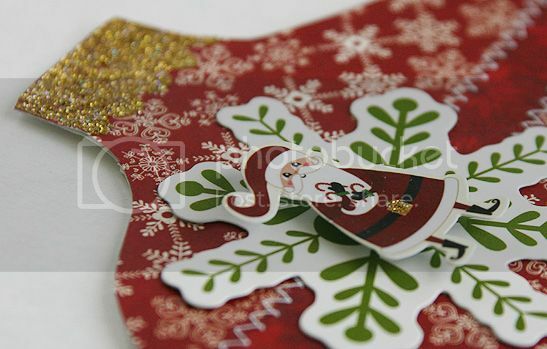 Layer die cut Santa and snowflake and add to card with foam tape for dimension. 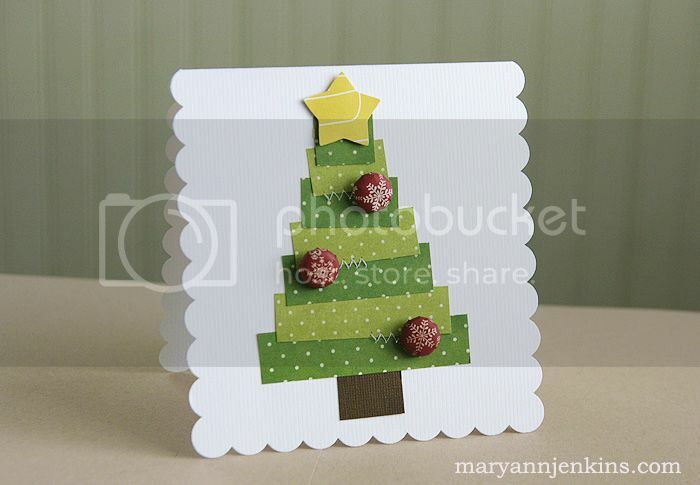 Add gold glitter or Stickles to top of card to resemble ornament cap. I love the cards, they are so pretty! That first card is SO STINKING CUTE! Love it! The second is fun, too! I love the tree scrap idea. I've also seen it wi washi.